In Japan, a calico cat with its paw upraised is a symbol of good luck. We were lucky to have had Calypso. 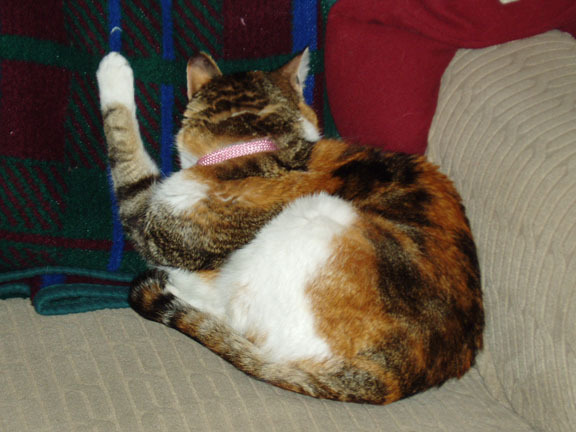 Calypso, May 1994 – August 2007.Â Â Rest in peace, beloved kitty.